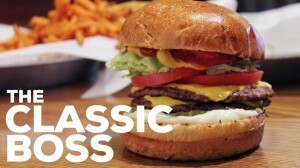 Dine & Earn at Burger Boss TODAY, lunch or dinner! 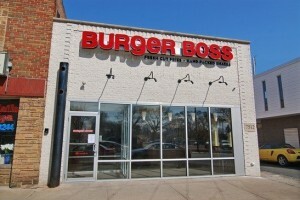 Dine at Burger Boss today from 11am to 9:30pm and Burger Boss will donate 15% of net sales to the Lincoln PTO. Come out and enjoy some delicious burgers, fresh cut fries and shakes with your family and friends. Treat yourself after all that shoveling! Click here for the Elmwood Park menu. They offer salads and kids meals too. Don’t forget to mention you’re a Lincoln family! Our thanks to FatDuck Grill, 7218 West Madison, Forest Park and our dedicated Fun Lunch Volunteers! Treat your family to a delicious meal at Burger Boss and help raise money for Lincoln. The more food sold on the 18th, the more Burger Boss will donate to the PTO. Enjoy a great meal with your family without the work of cooking at home. For all of you who have been collecting Box Tops, thank you and please keep collecting for our Winter Box Tops Contest! The class that collects the most Box Tops wins a treat! Put your Box Tops in a plastic baggie or envelope with your teacher’s name and grade. Place the baggie/envelope in one of the two Box Tops Collection Boxes, located in the Lincoln Office or near in the Park Avenue lobby. Please have all Box Tops submitted no later than 2/21 for the contest. 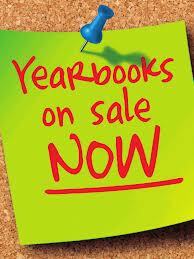 Lincoln Yearbooks are now on sale! Order now at the PTO Web Store to make sure you get a copy before the price increases: $20 each now; the price increases to $25 on March 3rd. Please remember to save your receipt or save the “Thanks for Your Order” email from the PTO Web Store. It’s an easy way to confirm you have a book to pick up at the Ice Cream Social at the end of May. Do you have photos to share with the Lincoln Yearbook? -You do need to leave your name, email, phone number, and accept the terms. -Filling in the “people” and “event” fields is optional. We’re completing the book in March, so don’t wait too long to share. Questions? Please contact Ann Mills at: “anncieslica AT msn. com”. Mardi Gras Day, March 4th! Enjoy a delicious traditional New Orleans Mardi Gras dessert—a jumbo cinnamon sweet roll ring decorated with purple, green & gold icing, adorned with beads and a little King Cake baby. Order deadline is March 1st at noon (pre-orders only). Cakes are $14 each on the Roosevelt PTO Web Store. Napkins and server included; serves 10-16. For more information please contact Tania Wilson: 708-366-6303 or “rdw1100 AT sbcglobal.net”. *King Cakes are from Reuter’s Bakery on Grand Ave. It’s a nut-free item, but not a nut-free bakery. Explore your senses and how that brain of yours processes all that incoming information…with and without your permission! More details coming soon. Contact Steve Lefko with questions: “s_lefko AT hotmail.com”. School fundraising doesn’t get any easier than this! Raise money for Lincoln by going to this link and clicking on either the search Amazon box or Amazon gift card box. Lincoln Elementary PTO will receive 6% of all money spent at Amazon.com through this special link (4% on electronics). There are no fees and Amazon does not share any of your information. Share the link with family and friends so all our Amazon shopping helps Lincoln school. Purchases made on Amazon kindle or through the Amazon smartphone app will not count toward fundraising. Please use the link on the Lincoln PTO website to ensure that Lincoln gets credit for your purchases. Happy shopping and thanks for fundraising! Waste Free Wednesdays are still happening! Pack your kids a waste free lunch on Wednesdays, and your child will receive a hand stamp. Want to see Lincoln in action during the lunch hour? Volunteer to give out hand stamps on any given Wednesday from 11:25 to 12:25! Training provided. Sign up here. Do you want to announce your school-related event? Please submit requests to “lincolnPTOcommunications AT gmail.com” by midnight on Tuesday for the weekly newsletter. Please Note that tomorrow’s the Bee Home and Garden Fundraiser Has Been Postponed. Stay tuned for rescheduling info. 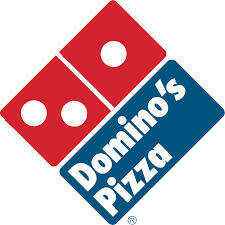 Our thanks to Dominos Pizza, 329 Chicago Avenue, Oak Park and all our dedicated Fun Lunch Volunteers. Treat your family to a delicious meal at Burger Boss and help raise money for Lincoln. The more food sold on the 18th the more Burger Boss will donate to the PTO. Enjoy a great meal with your family without the work of cooking at home. Did you know your Amazon orders can contribute to the PTO? It’s Wednesday, Puree’s Pizza or Pasta for dinner tonight? 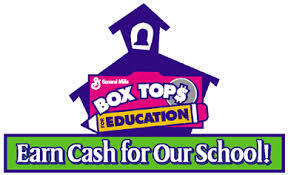 Our school gets cash for every Box Top collected to help buy the things it needs most. All those Box Tops really add up! Thank you for participating in this free fundraiser and earning cash for Lincoln School. Keep on clipping! Our thanks to Alpine Food Shop, 7538 W. North Avenue, Elmwood Park, and all our dedicated Fun Lunch Volunteers. Shopping has never been so fun… Grab a friend or two and come enjoy wine, appetizers and the beautiful surroundings of Bee Home and Garden gift shop. Socialize and shop guilt free as a percentage of the purchases made that night will benefit the Lincoln PTO. You can also make a wish list for your Valentine if they would like a little guidance on giving you something you would really like. Mrs. Clasky is hosting an End of the Year BoomWriter Club. It’s free to register and students sign up for each Wednesday separately, but space is limited! It starts tomorrow so sign up now at the PTO Web Store. Questions? Contact Mrs. Clasky at “Claskya AT district90.org”. It begins with a story start. Kids write their version of Chapter 2. Kids take the story where they like. The only limits: imagination and a word count. At the same time, other BoomWriters will be writing their own version of what happens next. Submit entry. When done (and before the deadline), kids submit their entry for review. If it’s accepted, they get points and BoomDollars. They’ll use BoomDollars to purchase accessories for their Boomer avatar. Vote! Vote! Vote! All BoomWriters vote on the entry they think is the best. Of course they can’t vote for their own entry, and they won’t know whose entry it is they’re voting for. Did they win? If so, then their entry becomes the official Chapter 2 of the book. If not, don’t worry because there will be many more chances for them to win. Read, write, then vote! REPEAT! The competitions continue until the book is finished. Then, *Boom! * participants are published authors of a collaborative book! Check out BoomWriter for more details.